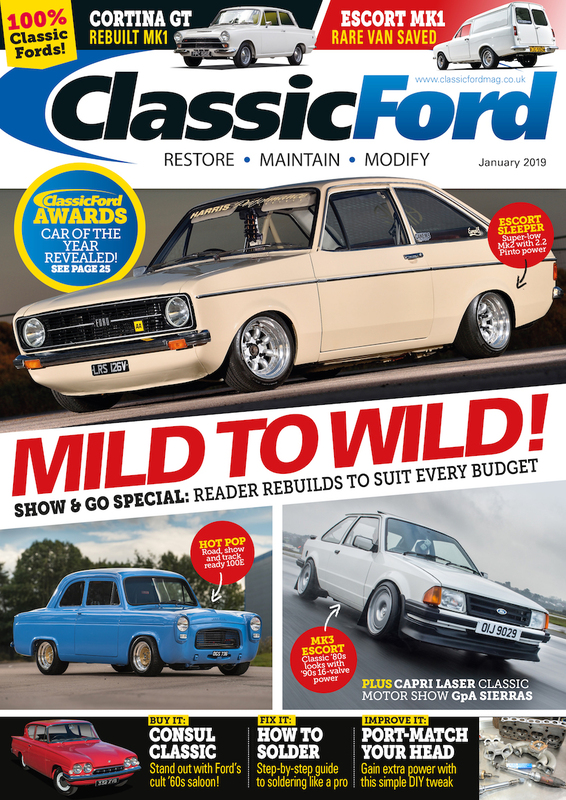 The January 2019 issue is available in print and to download now, and inside this issue we celebrate all that’s good about the old Ford scene with our annual Classic Ford Awards special! Every year at this time, as we put together the Classic Ford Awards, it gives us the opportunity to reflect (in between arguing over who should be selected) on the season just gone, and perhaps more importantly, focus on the year ahead. 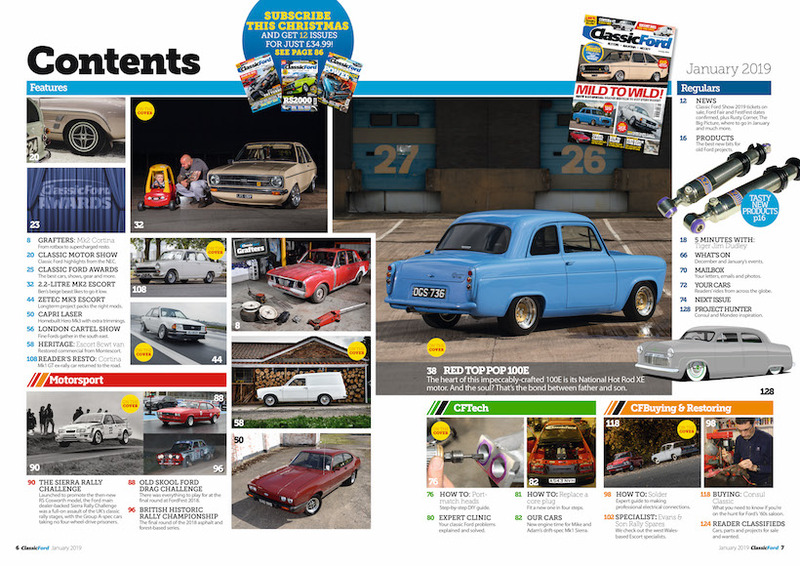 Every year, too, we generally agree that it’s been one of the best yet for the old Ford scene, with the standard of cars, parts and shows just getting better and better, and wonder if the coming months will see those standards raised. And of course they will be, because it’s in all of us to try and improve on what we’ve done before, whether we’re tinkerers or fully-fledged restorers. So here’s to what’s been a cracking 2018, and what should be an even better 2019. We can’t wait to get back out there and check out what you’ve been up to. just had a good look at the "How to solder" article. You do not solder a wire to a crimped connector like the AMP fastons. Use a proper crimptool like the one in the photo. Last edited by Miniliteman; 19-12-2018 at 17:15.